This looks promising. 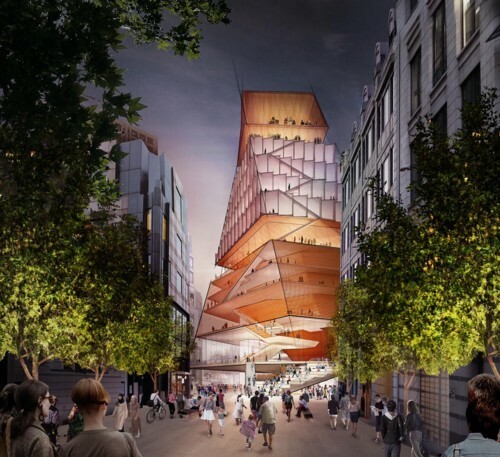 I’ve been waiting all my life for a really good orchestral concert hall, to replace the abominable Royal Festival Hall, and it looks more and more like the City of London is going to oblige. Well, maybe it really will look like that. Combines being boring with being ungainly and awkward. 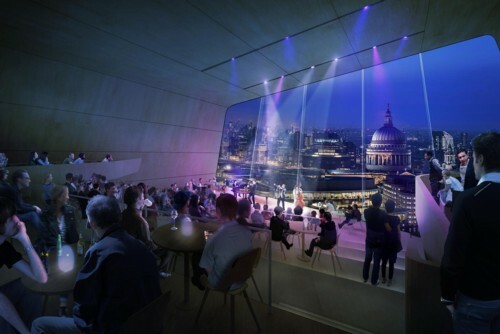 But then, that was what I thought when I first saw the fake-photos for the Walkie-Talkie, and now I love that Thing. Maybe this Thing will play out the same. Hope so. This is apparently where the horror that is Jazz will be perpetrated. Sorry, if you like Jazz. If you like it, like away. But I hate it, ever since it stopped being pop music. But, that view looks great. So, the question is: Do I like great views out over London, more than I hate Jazz? A good way to learn more about this building, what it consists of and where it is, is to watch the video in this Classic FM report. 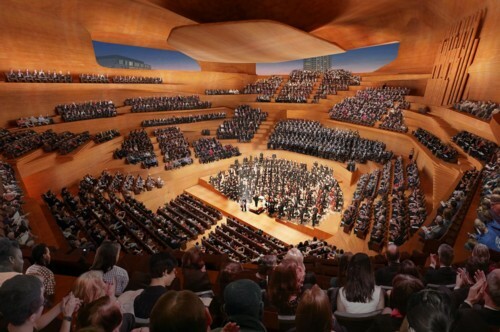 At the press briefing for the new concept designs, Simon Rattle batted away concerns surrounding Brexit, saying: “It’s important for us to remember there are other things going on in this country other than Brexit. Life goes on. I sense that Brexit Acceptance may now be setting in.